This paper is an effort to realize and explore the connections that exist between nonmonotonic logic and confirmation theory. We pick up one of the most wide-spread nonmonotonic formalisms – default logic – and analyze to what extent and under what adjustments it could work as a logic of induction in the philosophical sense. By making use of this analysis, we extend default logic so as to make it able to minimally perform the task of a logic of induction, having as a result a system which we believe has interesting properties from the standpoint of theory of confirmation. It is for instance able to represent chains of inductive rules as well as to reason paraconsistently on the conclusions obtained from them. We then use this logic to represent some traditional ideas concerning confirmation theory, in particular the ones proposed by Carl Hempel in his classical paper "Studies in the Logic of Confirmation" of 1945 and the ones incorporated in the so-called abductive and hy-pothetico-deductive models. SILVESTRE, R. Induction and Confirmation Theory: An Approach based on a Paraconsistent Nonmonotonic Logic. 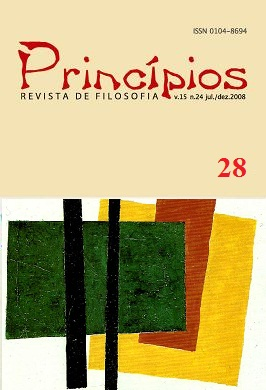 Princípios: Revista de Filosofia (UFRN), v. 17, n. 28, p. 71-98, 27 maio 2011.